The Pakistan faction of Muttahida Qaumi Movement (MQM), after a dramatic turn of events which led to a brief resignation stint by MQM chief Farooq Sattar, announced on Thursday that the decision to form an alliance with Pak Sarzameen Party (PSP) was still intact. However, MQM would contest the 2018 general elections under its own symbol and manifesto. Earlier in the day, MQM leader Kanwar Naveed Jameel had announced that the party would contest the 2018 elections under its own symbol in the constituencies where it had won in 2013. 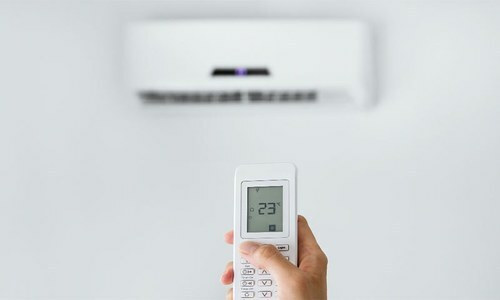 MQM leader Kanwar Naveed Jameel announced this decision while addressing a press conference, flanked by senior party leaders Nasreen Jalil and Faisal Sabzwari, following an emergency huddle of the party's Rabita Committee to discuss the prevailing political situation. Dr Farooq Sattar, who did not attend the party meeting due to "personal reasons", called an "urgent" press conference later in the evening to "make an important announcement". While speaking to the media at his PIB Colony residence, he admitted that he wasn't at the meeting because he was upset with the Rabita Committee. "I don’t want my own people to convey their messages through social media; if there is an issue or any confusion, come talk to me in person." Lamenting that his own party members did not respect his words or have trust in him, Sattar announced his resignation from politics during the press conference. His announcement was immediately followed by chants of "not accepted". A commotion ensued following the announcement of Sattar's resignation from the party as well as politics with MQM members, including Sabzwari and Waseem Akhtar, and supporters appealing to Sattar to take back his resignation. However, after hours of deliberation and persuasions, Sattar announced to take back his resignation while addressing another urgently called press conference in the early hours of Friday morning. 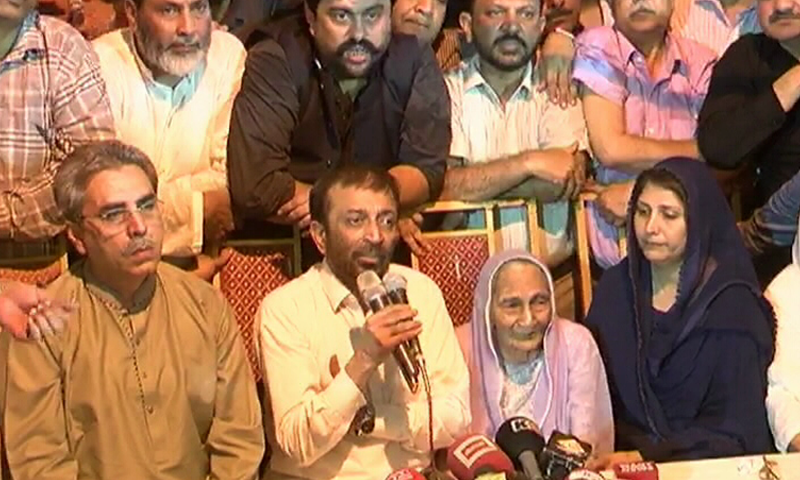 Accompanied by his mother, Sattar credited her for changing his mind about resigning from politics. Sattar announced that he will visit the martyrs’ graveyard in Azizabad on Saturday to pay his respects and that the "people of Karachi will accompany him". Sources close to Sattar told Dawn that he faced tremendous pressure from certain quarters at a meeting held at a DHA safe house on Tuesday night for entering into an alliance with the PSP and then gradually dissolving the MQM-P.
"MQM is the voice of Muhajirs; it was the voice before August 22 and will remain to be so," Sattar said earlier during the press conference, referring to the day that led to him sidelining party founder Altaf Hussain. "Don’t go so far in spreading hatred against Altaf Hussain that you harm your own people. 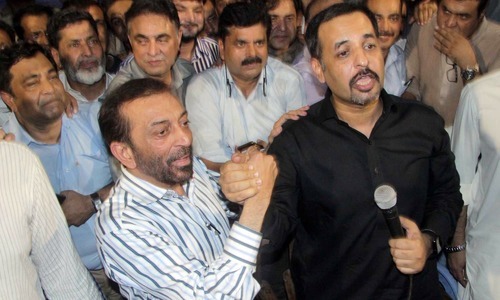 The tone used by Mustafa Kamal yesterday was not of unity and reconciliation," said Sattar, before adding that he could "have said all of this yesterday, but didn’t want to grab the mic from Mustafa Kamal bhai". "MQM is a reality, MQM is here to stay." Referring to Kamal's comments, Sattar said: "You [Kamal] were saying that you can’t negotiate with MQM, yet you were sitting right next to me when saying this. I am part of MQM." He also dismissed the notion that MQM and PSP were in negotiations for the past six months. 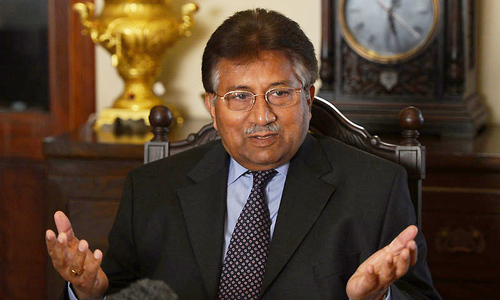 "I have not met Mustafa Kamal alone; we've only interacted socially." 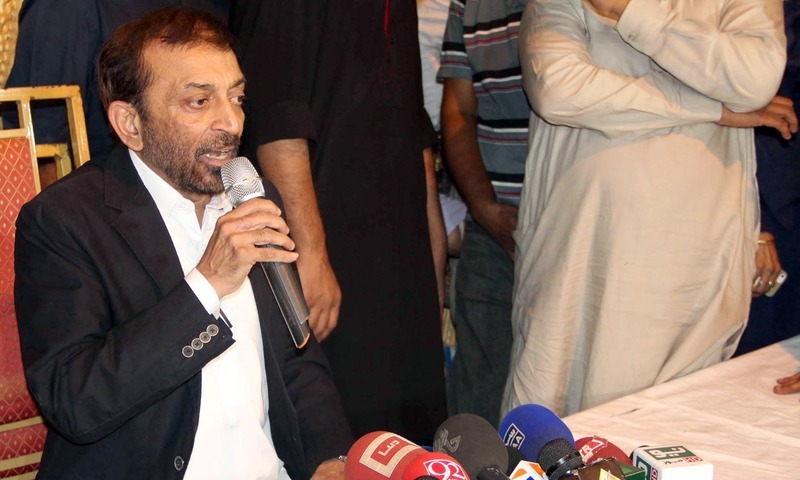 "I challenge you to win only one seat from Lahore," Sattar said, addressing Kamal. "If you win one seat from Lahore on KPK, we will bury the MQM flag with our own hands." Championing rights of the Muhajir community, he said MQM was fighting a war for the survival of Pakistan in Karachi. "Kamal and his colleagues are saying that they want to bury the MQM. I request them to stop saying this — you are hurting the cause of the Muhajir community." Sattar said that he would not have criticised Kamal, but was forced to as his "feelings were hurt". "I'd decided to take the negotiations with PSP forward; I had even drafted an agenda [...] but Kamal tried to teach me the way forward, he asked me to let go of my struggle for the Muhajir community and think about national politics," he said, lashing out at the PSP leader. "Our struggle is against the mistreatment suffered by the Muhajir community. We are against the quota system, the very system which technically ended after 2013 but is still followed by the government," claimed the MQM leader. "Yet, no court or institution has bothered to take action against this illegal practice." "No political party is bad; however, there are some people who bring a bad name to it. I ask Kamal to join hands with us and help remove these elements from MQM." "We wanted to make an alliance for a joint political struggle, but it was portrayed in a way as if we were abandoning MQM. How can we part ways with our own people who have sacrificed their lives for the betterment of this city and country?" The leaders of MQM and PSP had set aside their bitter rivalry on Wednesday to announce that they were gearing up for the eventual consolidation of their political forces and that they would contest the 2018 general elections under "one name, one manifesto, one symbol and one party." However, Jameel made it clear on Thursday that MQM will stick with its own electoral symbol and manifesto, despite a political coalition with Pak Sarzameen Party (PSP). "Some confusions had emerged following yesterday's press conference," said Naveed. "Farooq Sattar had referred towards forming a political coalition just like the Islami Jamhuri Ittehad and Muttahida Majlis-i-Amal," Jameel said, clarifying that the party will remain intact. The party leaders during the meeting expressed complete trust in Dr Farooq Sattar, he maintained. "Our voters and supporters should not get confused with the statements of political personalities and TV persons," he concluded. Asfoos. Very bad for Karachi politics. So much confusion before elections then what to expect after it. Karachi rejects MQM as it has delivered chaos in the past and is only good at creating drama instead of making its mayor solve our basic issues. PSP is a new party and Mustafa Kamal did a decent job as mayor and has the right approach of going beyond the Muhajir domain and being purely Pakistani but PSP has to disassociate itself from criminal elements in its party or it is as useless as MQM! PPP despite having the power in Sindh and Karachi for the past ten years has done nothing for the province and for the city and instead has thrown us fifty years back. A property agent from PPP became a millionaire and a meter detector became rich while PPP has been in power but the people of Sindh and Karachi haven't progressed. Bilawal should not fool us. His father controls PPP and Bilawal is not from us and he doesn't understand the gravity of our issues. Learning a bit of Urdu and Sindhi and a bit of history doesn't qualify you to lead us Bilawal!! These people have no idea what they are talking about, much less have a mandate to run in the next election - let alone rule the country! Please stick to Azizabad local committees and managing affairs of local shop-keepers. You are out of your league to lead the nation. Well Done Mr. Sattar! Today it was Great. He will be back bro! Farooq will come back, bless him and he knows it as do his close associates with hopes of majority Mohajirs supporting him which is what this drama is all about. Links with Altaf Bhai will stay in the back ground feeding on Karachi funds, promoting evil activities and making anti Pakistan speeches. These guys are playing with Mohajir sentiment which is sadly preventing Mohajirs to usefully merge with other communities. Farooq Sattar and team will bring back the lost Glory of Karachi. IA. Farooq Sattar is the right man to lead MQM. He is leader and know how to do politics, calm personality and knownhow to handle situation.... As a voter of MQM i support Farooq Sattar. Pakistan'politics has been so far for the electables and influentials but it seem that MQM Pakistan will break these shackles and poor and middle class will represent in assemblies. How can you trust a MQM-PAK leader who has changed his mind three times within 48 hrs - first announcing merger with PSP, then resigning and after two hours changing again and announcing back to MQM-Pakistan. These are topi dramas to fool people and test depth of waters before creating uncertainty in Karachi. This is my honest view and I think all this is part of a bigger plan, and our corrupt politicians agenda to destabilise Pakistan through different means. Mustafa Kamal once again betrayed MQM in the press conference yesterday. Farooq Sattar is doing the right thing by clarifying each and every point. MQM is not only a political party. It is a passion and identity of Urban Sindh. @Talha How do you know Khi has rejected MQM? Let next election come and you shall find out. I am a well educated and professional individual from Urdu speaking background and despite all these smoke screens still support MQM and will again vote for them. This is representative of my community in general. Believe it or not, its upto you! @ABE that's nice, but who are they? Resign & withdraw. Who used to play this game? MQM will survive. Good job Farooq Sattar. These people can never be trusted, they have a track record. I watched his first press conference, and agreed to most of his statements. However, I was not expecting that he would take back the resignation. This has changed my whole perception about him being righteous leader standing for principles and being a "matter of fact" person. I just want all the corrupts out of the Karachi Politics. Please have some consideration and mercy on this city. I just came back three weeks ago. This city is being pushed too far to make a come back. They from the day one have owned this city. These guys should be ashamed on the state of affair of Karachi. In four decades they have proven themselves as total waste. I am also equally ashamed at the Karachiites on how blindly they have put and still keeping their faiths on these inept people. 35 plus years gone Muhajirs still find themselves on the drawing board. The fact is even with all the seats of Karachi, Hyderabad, Sukkur and other cities where Muhajirs have big representation they cannot dictate terms and get the work done. What we saw Waseem Akhtar has been elected Mayor of Karachi yet he says he is helpless because PPP is not giving what is due. This scenario will continue for very long time because MQM can win seats but will always be on the opposition chairs. Only an honest national party can pressurize the regional majority party to deliver equally. Farooq Sattar is back. He has learned the lesson from the master well. 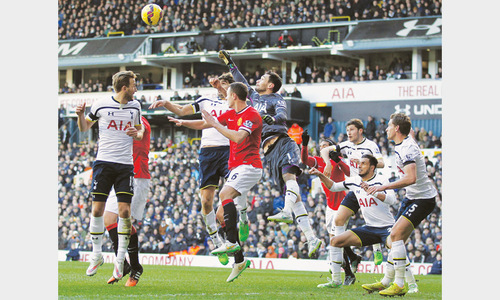 FS changes decisions frequently based on pressure. First he announced alliance with PSP due to hidden's pressure, then he changed that alliance stance and resigned due to party's pressure and finally he changed his decision due to mother's pressure. How on earth one could become a leader if he could not bear with the pressure. As long as Altaf Hussain is around, MQM is his party. Period. Very soon there will be more parties than voters. @Talha nope its not that easy. We cant change the karachi mantelity within 2 years of short time. You see all these people they were students and now old men. There were too many seasons that they have seen in the past years. Even if someone did a crime in civilized societies, law give him a chance. but if he repeats, than law grap him from neck. After all this is an eaxmple of a civilized society. Psp is a newbee, which be something in the future, but if leads by a serious person, not one with childish behaviour. He was one of them, who will trust on him? If They already sub-sided Altaf, so where is the problem now? If both parties fail to coorporate with each other than you will see PPP every where in karachi and I personally think karachiwalay dont like ppp.